Here are some basic tenets of a good fit and where to get started. 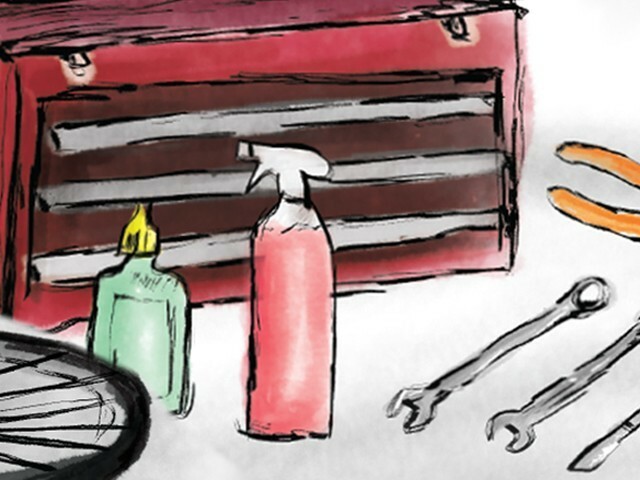 Get the state of the rider. Find out what kind of riding the rider currently does, and what the rider aspires to. 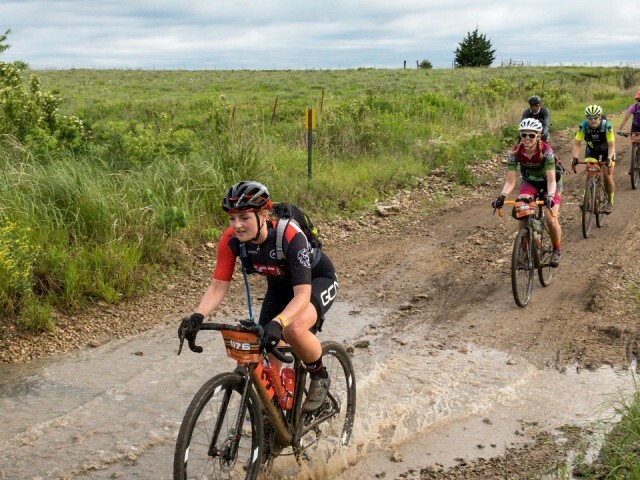 Are there disconnects between assumptions, desire, actual fitness, and how much time the rider can/will make for cycling? Are there any injuries (old or new), or issues with flexibility? This helps determine if there will be areas requiring more attention. The rider may have something from an old injury that is causing discomfort or limitation. 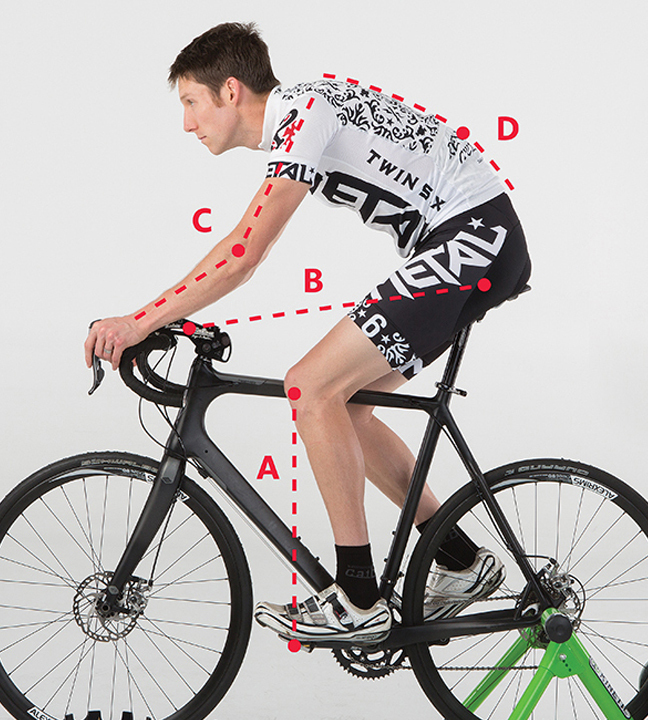 Leg extension — Measure this while the crank arms are aligned with the seat tube. The extended leg should have a slight bend (roughly 30 degrees at the knee) while the foot remains in the same position as it would if the rider was pedaling. This makes for efficient pedaling with a balanced use of the glutes and quads. KOPS (Knee Over Pedal Spindle) – Measured with the crank arms parallel to the ground, a plumb line from the front of the kneecap should roughly intersect the leading edge of the forward crankarm. This makes sure the body’s power is transferred efficiently into the bike. Shoulders – Should be relaxed and squared, not rounded or compensating for a stem that is too long. Hands – They should remain relaxed on the tops of the bars, hoods, and in the drops. Ask about hand pressure as well. Bar drop – Check that it is not too deep, or the bars are not too wide. 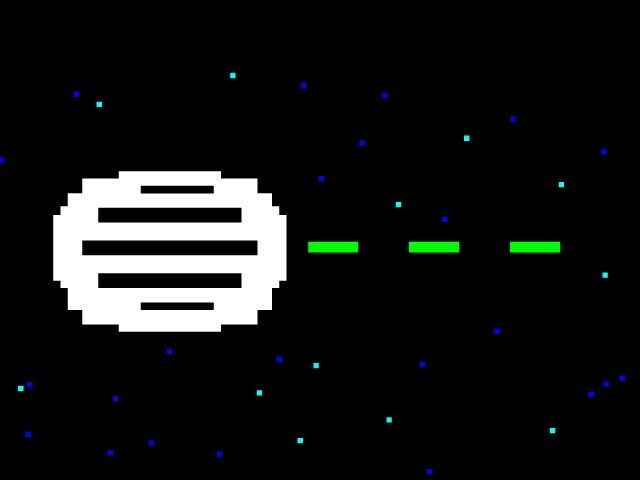 Toptube – Check that it is not too long. Keep in mind that reach can be too long from the length of a stem, the fore/aft position of the saddle, or toptube length. Saddle – Look at whether the person is rocking in the saddle with each pedal stroke. This is a sign that the saddle is too high, or possibly the wrong width. Check for wear marks from the rider’s saddle contact points. Stem/Bar Height – The curve of the back and pelvis position give a sense for where the person is correctly supported by the saddle. RPM riding style – Is the rider a “masher” that pushes a bigger gear, or a “spinner” with a more supple low gear and high RPM? Many riders seek something between a “race” fit and an “endurance” fit for longer rides. For either style of fit, the customer should be communicating how the adjustments affect their ride as they train towards their goal. Ultimately, the fit may change if discomfort occurs somewhere down the line. A KOPS (Knee Over Pedal Spindle) — Is the same whether Racing or Endurance. Measured with the crank arms parallel to the ground, a plumb line from the front of the kneecap should roughly intersect the leading edge of the forward crankarm. This makes sure the body’s power is transferred efficiently into the bike. 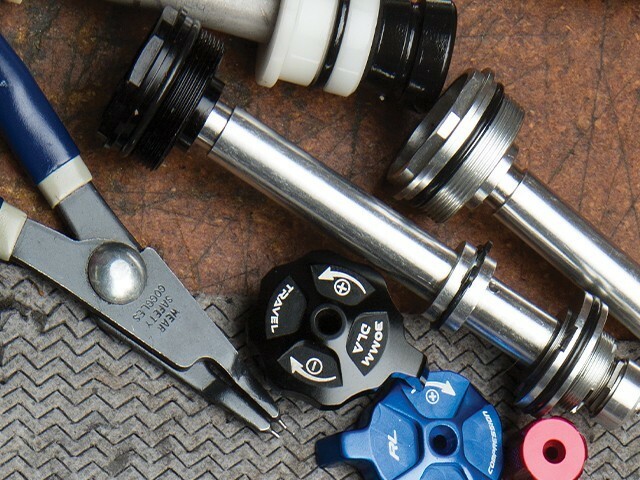 B Bar/seat relationship — Generally, you end up with a greater disparity between the amount of stem and exposed seatpost, with the seatpost being significantly higher. C Arm position — A rough range for elbow bend is approximately 30° on the hoods, 40° to 45° on the drops or hooks, and 35° or so on the lower flats. Shoulders and hands/wrists should be in a neutral position; they should not look like they’re reaching or cramped. D Back angle — The rider’s back is flatter on the hooks and lower flats. The pelvis is rotated slightly forward, but not onto soft tissue. Bar width/position — Race bars should closely match shoulder width, and the drops should be usable and allow the rider to tuck even lower while still maintaining comfort and the ability to generate power. B Bar/seat relationship — The bars and stem are closer to level to provide a more upright position. C Arm position — Like Race Fit, shoulders and hands/wrists should be in a neutral position; they should not look like they’re reaching or cramped. D Back angle — The rider’s back is more upright on the hoods and lower flats. The pelvis is rotated slightly back, with more weight on the sit bones. Bar width/position — Endurance bars are sometimes wider than shoulder width to offer the rider more varied hand positions, as well as for increased leverage for a hilly all day effort. The drops are usable for an additional position but with less emphasis on an aero tuck or for sprinting. The rider really dictates how the bike is adjusted. Look at the customer’s abilities, flexibility, and limits. Riding a crit versus a century should not dictate how a rider’s body is positioned; rather, the body dictates how the bike should be adjusted. If you position a set of bars and create a great amount of saddle to bar drop, but the rider’s flexibility can’t handle the position, the outcome will be an uncomfortable ride that equates to a loss of power and efficiency. 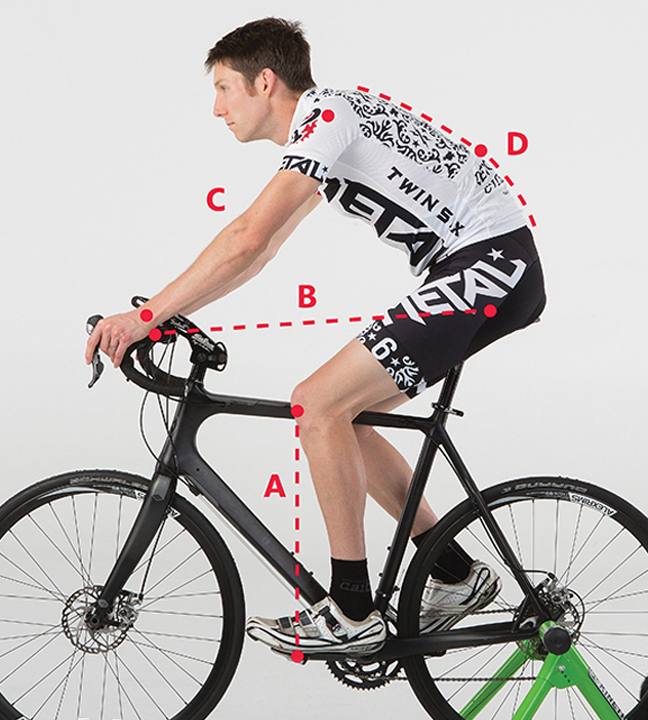 Proper bike fit allows the rider’s joints to remain relaxed no matter the effort. Eliminating pain on a bike is the goal, but bike fitters are not doctors. They can help adjusting the bike to something that should allow the rider to be more comfortable, but if pain persists no matter the changes in fit, the rider should see a licensed medical professional. Just because you can make adjustments doesn’t mean you should. If something has been working well and your tweaks make things worse, then go back to the original placement. Nobody has all the answers. Get to know other fitters, physical therapists, kinesiologists, etc., that can help you. There’s always something to be learned.